Green flag…green for June Grass! 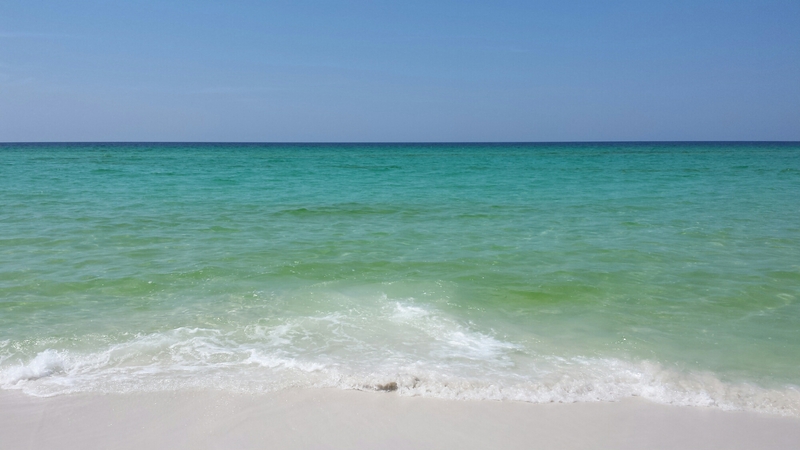 I was very excited to go to the beach when I got the text stating there were green flag conditions in South Walton. I rarely go to the beach in the middle of the day because I sunburn obscenely fast. When I got to the beach at THPSP I was disappointed for a number of reasons. 1. The state park was flying a yellow flag. I expected this because I’ve heard a rumor that state beaches on the Panhandle never fly a green flag for liability reasons. 2. However, the Gulf was about in the same condition as it was Friday except the wind is southeastern. In my opinion the flag is should still be yellow. 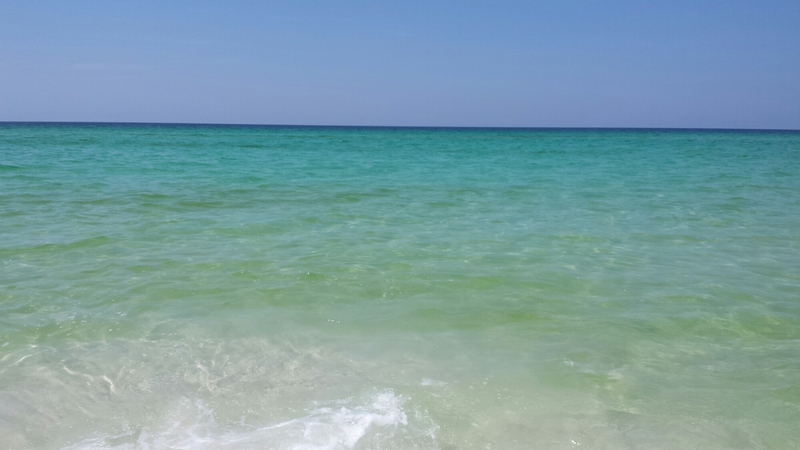 To me a green flag is when a north wind flattens the Gulf down like a lake. This is rare. 3. The June grass is back in. I’m calling it areas of 3-4 on the Grossness Index. Since I can wait out the June Grass it wasn’t worth it for me to stay at the beach, so I took some pics and left. I didn’t bother going in the water. You can definitely evade the June Grass if you wade out a bit. It’s coming ashore on thin bands. I tried to get pics that showed the alternating bands of grass and clear water, but I’m not sure you can really tell. Posted on June 7, 2015, in June Grass and tagged June grass, santa rosa beach. Bookmark the permalink. Leave a comment.